We are proud to introduce our unique VIP program, the PokerNuts VIP program. 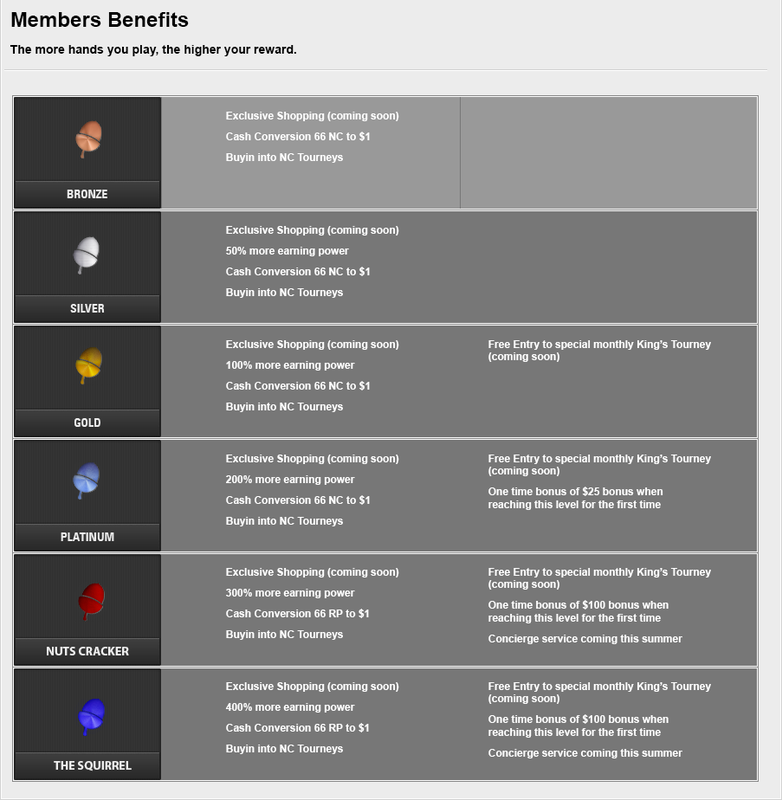 As a member of the VIP program you can earn rewards while playing at our tables and in our tournaments. Each member starts with a Bronze Nuts and earns points immediately when playing. Progression to the next level is based on the benchmarks listed in the table below. With each new level your earning power is increased as shown. If you have questions about the PokerNuts VIP Program, please e-mail us at [email protected]eu. PokerNuts's management reserves the right to alter the VIP program, NC and Status Points systems, or cancel any poker tournament, without advance notice. We promise to make an effort to be consistent as much as business conditions permit.